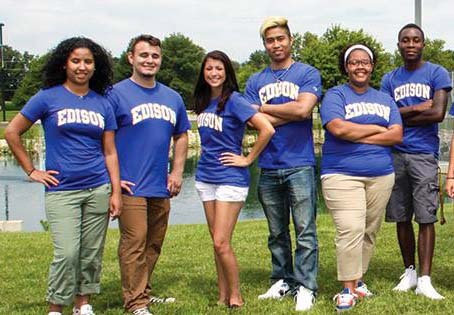 Edison State Community College offers more than 30 different technical programs and a range of baccalaureate transfer programs. That list includes two programs that specialize in transferring to a four-year university, and three programs that target employment. Edison State, which opened in 1973, has its main campus in Piqua with a branch in Greenville. Articulation agreements are in place with more than 15 universities, including 34 with Wright State. Intercollegiate athletics include basketball, cross-country, softball, and baseball. For more information about the college, check edisonohio.edu. To increase access and affordability for a college education, Wright State and Edison State offer the Wright Path partnership program. Go to our community college partnerships overview page to learn all about the benefits of the Wright Path program. Apply to Edison State and register for classes. To enter the Wright Path program, fill out the participant application and we will verify with Edison State that you are an active student in good standing. Students must maintain at least a 2.25 cumulative GPA at Edison State to remain in the Wright Path program. It is important to work with your academic advisor at Edison State. Let them know you are in the partnership program with Wright Sate, plan to utilize a pathway/articulation agreement, and intend to transfer to Wright State. They will assist you in creating an academic plan that will help you plot your courses for your transfer program. A Wright State advisor will also reach out to you to assist in your transtion. You should meet regularly with your Edison State and Wright State advisors to ensure you are on the right track. Tour Wright State’s campus, meet with an advisor, and get the answers you need. Schedule a campus tour with the Transfer Center. See our community college partnerships overview page for information about all of the Wright State resources available to you. The application fee waiver code for Edison State transfers is: ESCCPartnerSchool. Students returning to Wright State may qualify to reset their former GPA at Wright State through the Second Start policy. Consult a Wright State advisor for more information.